I used to be a heavy smoker. I smoked 20 cigarettes a day. Smoking a cigarette was the first thing on my mind in the morning (I always started the day with one), smoking was the last thing I did before going to bed and my day would be organized around cigarette-breaks. Psychological dependency (note: different from physical dependency) stems from dopamine release in certain parts of the brain (see here, here and here for more). 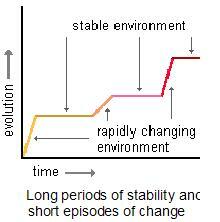 This dependency is based on the need for an organism to reward beneficial behavior. But, the system is easily fooled by drugs of addiction (nicotine in the case of cigarettes), which are, arguably, not beneficial. I got rid of my smoking addiction by realizing that being a non-smoker is something I can identify with as easily as being a smoker. My identity as a smoker could be removed and I would still have a likable self. Also, I was sick and tired of cigarettes dictating how I organized my days – they stole my time. I usually do not smoke, but when I am in Gaza I smoke – a lot. My first thought, – a thought that took all focus away from his plea for peace in the Gaza-region, was…..: – hey, I could go to Gaza to smoke !! This is addiction. And it is a reminder that I was an addict and still have addict thoughts. The reward circuits are hardwired now, and have become almost instinctive. However, me being comfortable with my identity as a non-smoker is what is going to keep me away from cigarettes also in the future. And this leads me to the second point I wanted to make in this post: when anonymous alcoholics and similar organizations always confirm to themselves that they are alcoholics/addicts – don’t they then reaffirm their identity as an addict ? And, is that a good thing ? Isn’t not being an addict their identity now ? 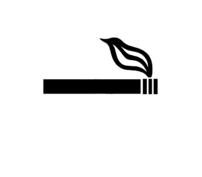 What works for me is to know my biology, but at the same time to know that I can choose to follow up un neurological signals or not, – and while that makes me a previous smoker with hard-wired memories of the past – it most certainly does not make me an addict – not anymore.